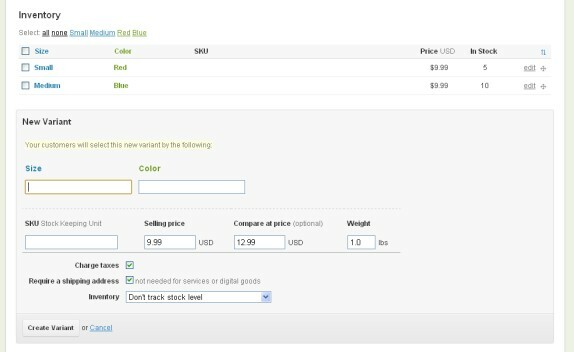 The Shopify shopping cart management is extremely beautiful and simple. Unlike other shopping carts Shopify has intentionally left out many of the more advanced functionality to instead keep their software very easy to use. At the time of this Shopify review there are only 22 free designs currently included. There are many paid templates as well that are pretty low priced, ie from $80-$180. The free designs are pretty basic in nature and none of them really caught my eye. 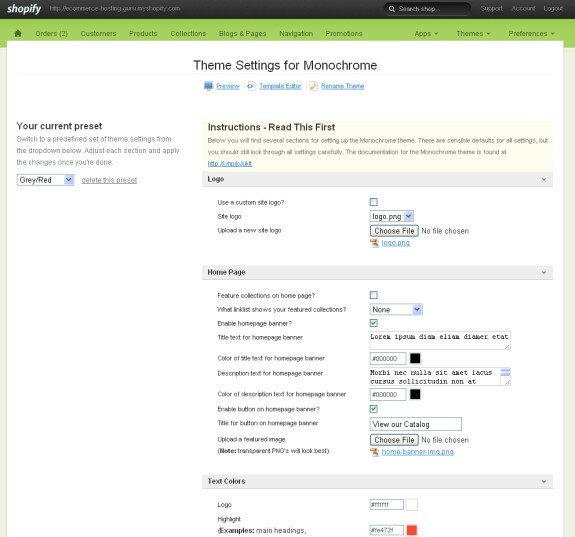 Shopify does not offer a drag and drop template editor but you can edit the template fairly easily with their edit screen, ie different colors for links, text, logos, graphics and so on. 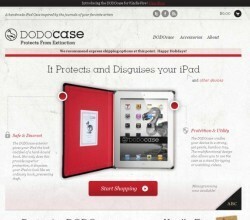 If you are a designer you can COMPLETELY customize any of the templates or even make your own. 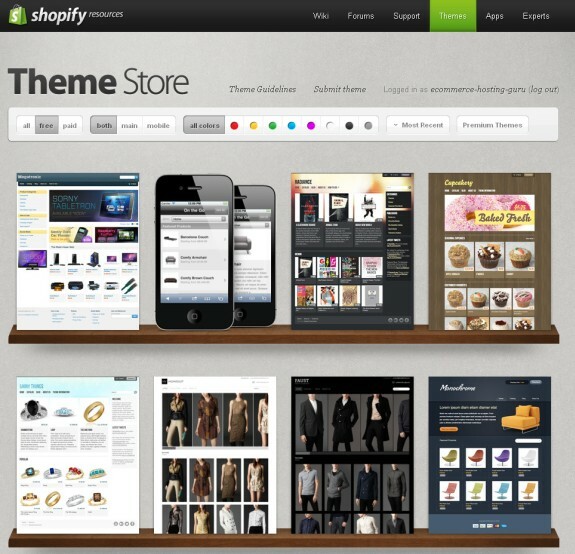 Shopify is very popular with designers because it is so easy to customize. 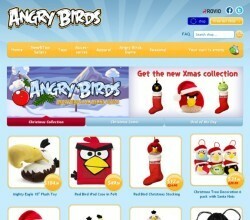 Both the admin interface and the stores themselves load quickly. Shopify uses ajax to make on screen updates without the need to refresh the page, this gives a very nice experience that loads very quickly and looks pleasing to the eye. Pricing is higher then some of the other top carts and there are fewer plans. Shopify charges up to a 2% transaction fee, depending on the plan you are on. This can get expensive quickly, luckily their top plan has no transaction fees but this plan is $179. The transaction fee is based on your sales so if for instance you sell $10,000 worth of items you would owe Shopify your monthly fee plus $10,000 x 2% = $200. Especially if you sell high-ticket items this should be a consideration in your selection. Shopify is one of the few shopping carts reviewed that do not have a live online chat. They do offer both a ticket system, forum and phone number for support. I did not attempt to contact Shopify support, their product is so easy to use that I literally had no questions. 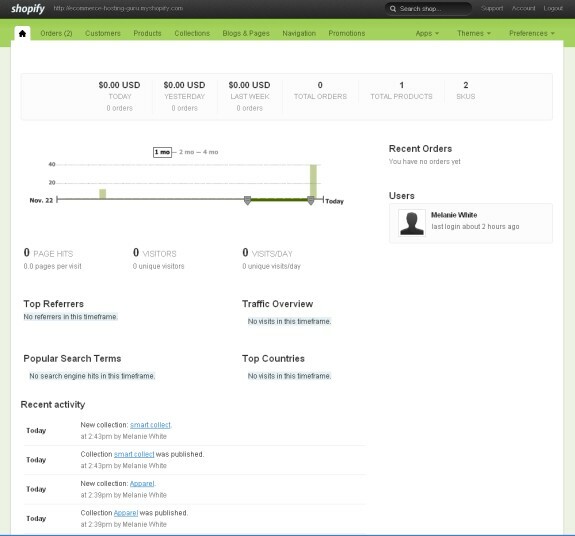 The Shopify online help was easy to navigate and in most cases unnecessary as the interface was very self explanatory. Shopify makes running a ecommerce store beautifully simple. They hide all complexity and just let you work on your store. Tax information for the United States is preloaded in even down to the zip code level and automatically enabled. Product variants, ie size, color etc and their stock is very easy to manage. Its very easy to automatically assign items into different categories, for instance create a category of new items, items < $10, items with a certain keyword etc or you can manually assign items into categories. Shopify is one of the only hosted shopping carts I have seen which has no bandwidth limits and charges nothing for bandwidth overages. While Shopify does a good job of simplifying ecommerce for some people it has gone to far. There are very few marketing features available with Shopify and even the most basic of marketing, ie adding discount codes is only available in their upper plans. Realtime shipping is now considered a standard feature with most shopping carts but Shopify only offers it on their upper plans. There is no social integration, no reviews, no wish lists or registries, no newsletter management, no downloadable products etc. If you are considering Shopify please carefully consider what features you will need and make sure that they are included. The product search does not appear to work well. In my Shopify review store I had 2 test t-shirt items in my store. In the search box I tried to search for shirt and it told me no matches. I tried several other variants and again no match. I had to type t-shirt exactly in the box for matches to come up. 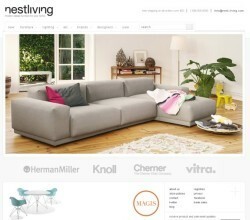 If you have a large number of inventory items that will require searching this could be a serious limitation. 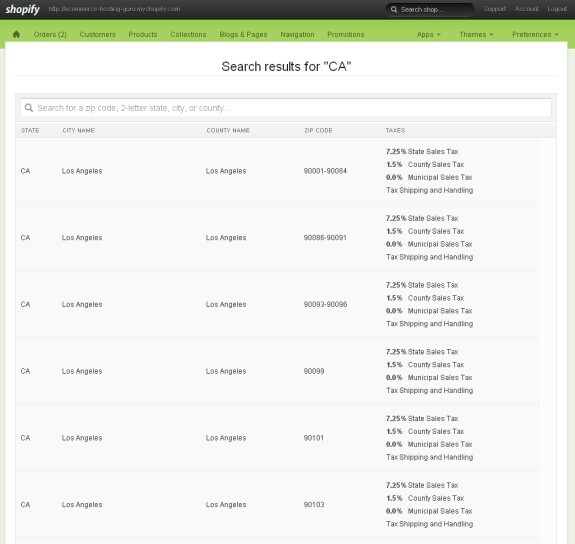 Below are actual stores built using the Shopify shopping cart. If you still need more information before trying Shopify I've included links to a few other good Shopify reviews below. Did you like what you have read in our Shopify review? If so go ahead and give it a try they offer a 30 day trial.